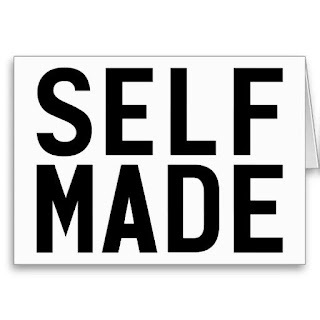 Becoming a successful, self-made entrepreneur is a strenuous feat that demands risk of time and money. It requires countless nights, hours of intense focus, and having faith in yourself, your team, and your company. It also requires patience, time, and being able to discard the “non-believers” also known has the “haters”. But, once you get past all of the hardship, you will have the privilege to become your own “boss”, work on your own time, and make your dreams come true! Have a passion for what you do. If you don’t have any passion or love for the work you are doing, then being a successful entrepreneur is not possible. You must decide what you have a passion for and stick with it. Make a plan. An effective plan can help achieve any goal you set out to achieve. Break large tasks into smaller, more controllable portions. Put end dates on everything (small and major goals). Take small steps at a time and learn from each step. Learn to take a central goal and break it down into smaller steps. Breaking goals into small steps allows an easier understanding of the idea. Instead of doing a whole project in a day, break it up into several parts. Do one step a day and this will allow each part to have more quality and understanding of the goal. Build a team. One of the most important structure for your company is to build a team. A company without a team is nothing. Your team needs to bring each other together and help each other solve complex problems and work towards a common goal. Here are a few things you should look into when you are creating a team. Be aware of how you work. Have a common goal that each member is constantly working towards. Become an expert in your field. Once you become an expert in your field, you are able to specialize your work and provide an enormous amount of skill and resources to your company. Thus, this will help you gain an advantage over the people working underneath you. Invest in yourself. This is the most important investment out there. The amount of effort you put into investing in yourself will play a large role in how you run your company and the quality of how you treat yourself within the company. Also, here are a few tips on how to invest in yourself. Keep your mind active: play strategy games or word games. Build a reputation. Your actions + what others say about you = your reputation. Here are a few ways to build a strong and lasting reputation for you, your product, and your company. Go a step beyond what is expected. Go out of your way to help others reach their goal. Influence of Persuasion by Robert Cialdini. Jordan Belfort’s Straight Line Seminar. You will be able to be more productive. You will be able to achieve more balance in your life. You will be able to prioritize you tasks. You will be able to achieve freedom from chaos. 1. Figure out the problem you’re trying to solve. 3. Classify the decision standards. 4. Come up with more than one solution. 5. Pick the best solution. Build up great customer service. Having a great customer service will allow your company to gain potential life customers, and raise company profit margins. Thus, with massive advertising opportunities, potential customers will spread the word about your product. Keep in mind, a bad customer service can destroy everything you worked for. Here are some key strategies to build great customer service. It is never too late to start. As soon as you realize you have a unique idea, get to work.